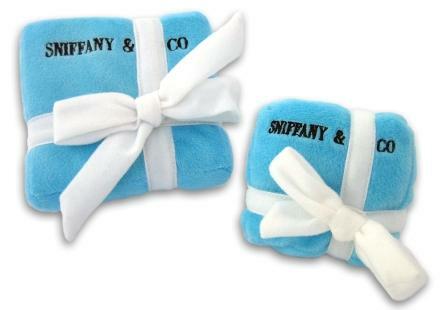 Sniffany & Co. 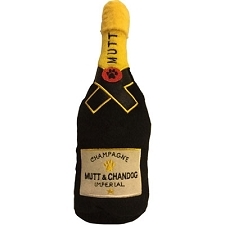 Plush Dog Toy by Dog Diggin Designs. 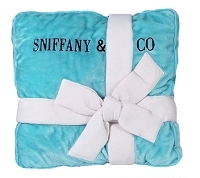 The infamous little blue box has driven women crazy for ages, and now this clever twist can have your pampered pooch begging for more. 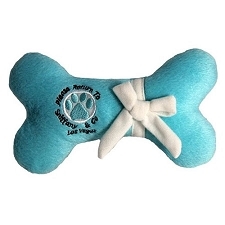 Parodied after the famous Tiffany & Co. box, this tongue-in-cheek dog toy features the classic blue box wrapped in the beautiful white ribbon. 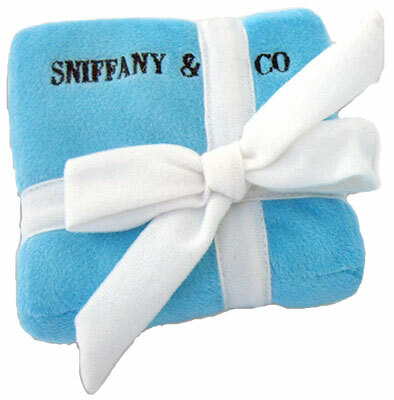 Unlike boxes from its famous jeweler-inspiration, the Sniffany & Co. box contains a humorous squeaker. 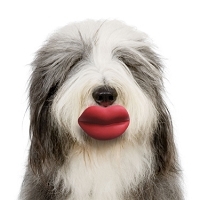 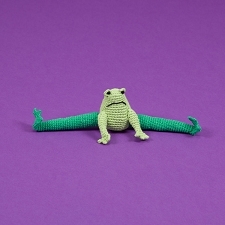 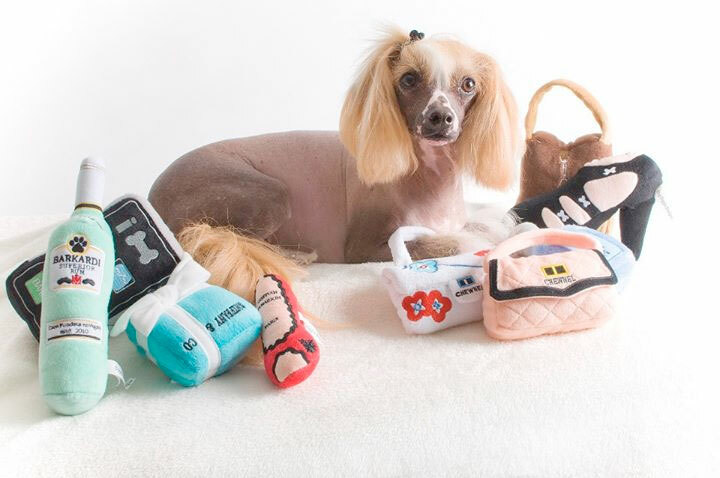 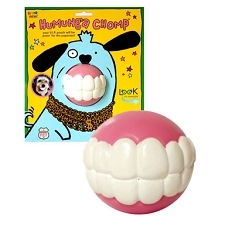 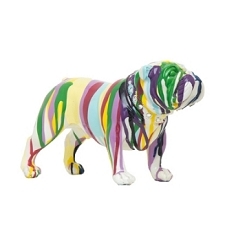 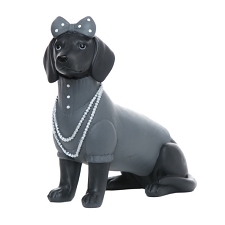 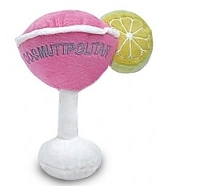 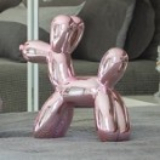 Fit for the discerning diva dog, this dog toy is sure to provide you with a hearty chuckle.